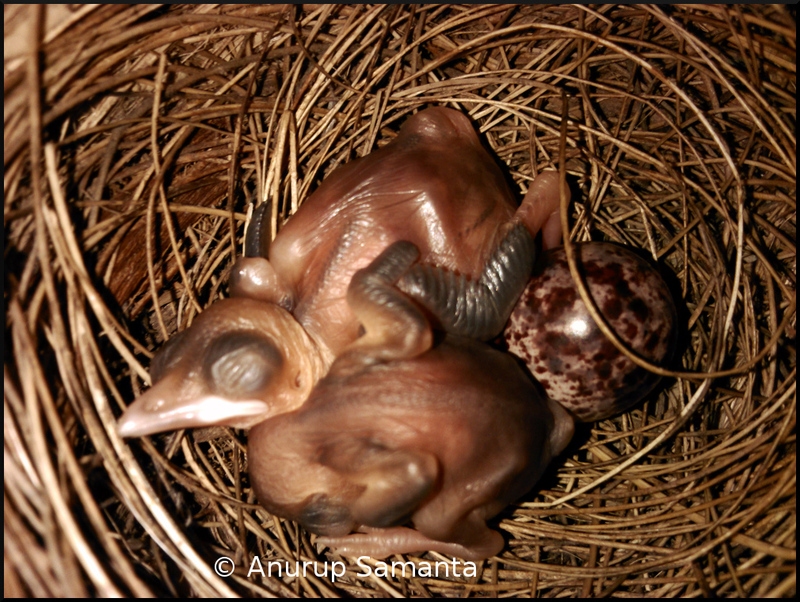 Wow, the big bulbul brother is not alone anymore as the second bulbul hatchling is already out of its shell! Those of you who follow this photo blog already know by now that my washroom has been converted to a makeshift Bulbul maternity ward and this is the forth photo story of the series (Click to read the First, Second or Third photo post of this bulbul series). Everyday I'm closely monitoring their growth and development. When the first hatchling was out of its mother's egg, it looked too skinny and delicate to survive in this real world conditions. By looking at its thin skin and lack of mobility I was quite apprehensive of unfavorable prognosis. 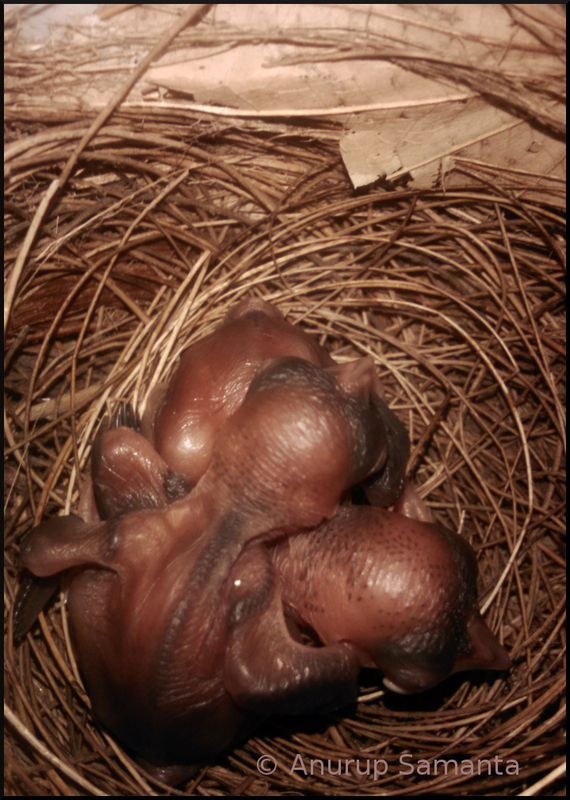 But now, the contour of the skin of both of these bulbul hatchlings shows satisfactory signs of maturation. I can already imagine a pair of strong wings on each of them (dramatizing of course). Although, you can't anticipate how dynamic these tiny siblings are inside that compact nest, I had made it a point to check the same with a mirror. One more egg is remaining to be hatched. So, please keep showering your good wishes for these little bulbuls till I return with more mobile clicks of this beautiful tale.